Take one look at the balance sheet for the world’s No. 1 music-streaming company, and you might think it’s being a little bit bullied. Despite steadily increasing paid subscribers (75 million and counting) and revenue (about $1.36 billion last quarter), Spotify continues to bleed. The $49 million or so that it lost in the first three months of 2018 wasn’t because the company can’t keep a tight rein on its own spending, but because it can’t keep a rein on its suppliers. Yes, that’s right: As Spotify grows, so do its royalty payouts to record labels and other music providers. And those marginal costs are an anchor on the Stockholm company’s profit potential. It doesn’t have to be that way. 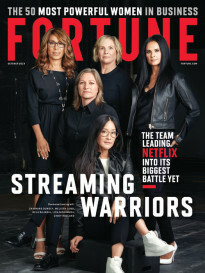 Netflix, the media-streaming darling of a different kind, is able to keep its programming expenses locked down as its user base grows. But that’s not so for Spotify, thanks to the agreements it struck with the “big three”—Sony, Universal, and Warner—as well as Merlin, a licensing agency for independent labels. Together, the group accounted for over 85% of the music streamed on Spotify last year. Sure, Spotify could negotiate its rates down when the time comes. It could also explore new revenue sources. (In CFO Barry McCarthy’s sights: the more than $18 billion radio advertising market. “There is an enormous payoff for whoever wins,” he said on a March earnings call.) But what if it took a cue from Netflix and began producing original content? Would Spotify finally realize its profits, or would it spark a devastating record-label revolt? Erik “Rook” Ortiz, half of the Grammy award–winning production duo J.U.S.T.I.C.E. League, says the allure of artists’ back catalogs makes it unlikely that Spotify could cut out its suppliers. To him, the platform would become irrelevant without the inclusion of enduring artists like the Beatles, Prince, or Madonna. “It becomes a niche thing,” he says, no different than, say, Bandcamp. Others remain optimistic. “I think Spotify is winning the hearts of artists,” says David Park, a professor of entrepreneurship at Syracuse University, noting Taylor Swift’s decision to rejoin the service last year as well as its artist-friendly data insights. That gives Spotify a little more leverage than it gets credit for. 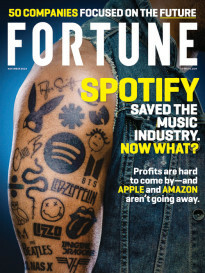 “If you’re looking for true popular music in today’s zeitgeist,” Schiffer says, “Spotify has real, unvarnished info that can really tap you into what’s hot.” All the company has to do is figure out a way to profit from it.